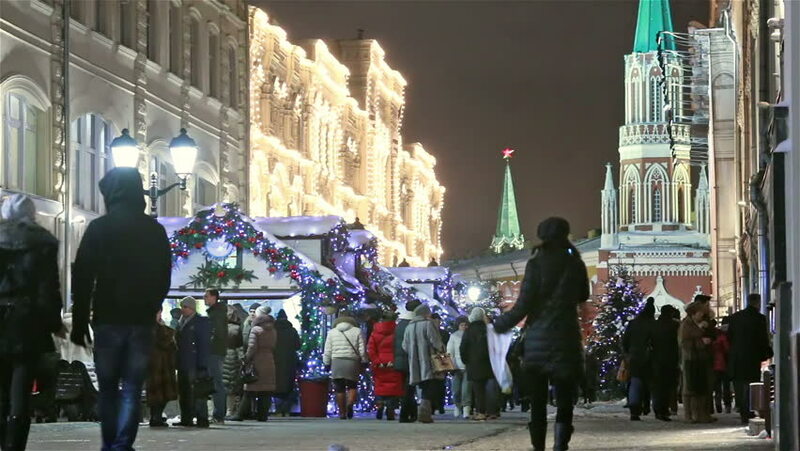 Moscow, Russia, January 2015 - Nikolskaya Street and Red Square at Christmas. hd00:29STRASBOURG, FRANCE - DECEMBER 25, 2014: A crowded street in Strasbourg. Busy with tourists, pedestrians, and holiday decorations. Shot in 1080p HD. hd00:24ST. PETERSBURG, RUSSIA - MAY 9, 2018: People carry pictures of World War Two soldiers as they take part in the Immortal Regiment march during the Victory Day celebrations. hd00:08spring parade on a sunny day with lots of people and stylized iron wolf on March in Vilnius. hd00:24OSLO, NORWAY - APRIL 24: View on a busy street in the center of the city as pedestrians and traffic passes by on April 24, 2017 in Oslo, Norway.